Since J.C. Penney closed its doors last year, Bishop’s retail shelves remain a bit thinner than usual, Kmart, The Toggery and various camp/outdoor retail stores notwithstanding. 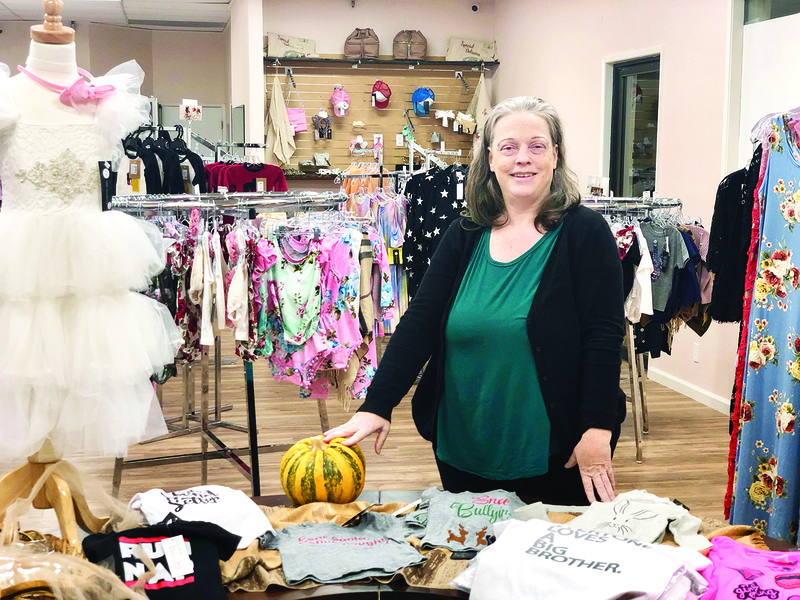 When I walked into Little Trendsetters Pop-Up store last Saturday evening, co-owner Anne Denman said it had been a good day at the store. Denman, representing several partners, opened her doors at the beginning of this month. Colelctively, they are taking advantage of overstock opportunity. “It’s just something you kind of jump on when it happens,” Denman said. Typically, a Pop-Up store is “something that comes and goes with inventory, some people use it to test out a brand or test out a style, and some do it as we are doing it with overstock type merchandise to sell at a discount. Or it might be that they can find a small space like this, so the rent is not expensive and its more driven to get rid of stock that hasn’t been sold in the season. In malls, they are typically there for months. The idea here is that the brand itself will go, and then a new one will come. Our Pop-Up is the popping-up of different brands!” Denman said. The Pop-Up itself is “sponsoring the brand Trendsetters or [actually] Little Trendsetters, and they had an overstock [of clothing] and we had a connection with the owner of that brand. So, we brought it here, and it was an empty little corner and it worked out,” Denman said. The majority of clothing that is currently featured at the Pop-Up store are mainly for “little girls ages 6 months-7 years old, though we do have some adult mommy and me, robes and some dresses” Denman said. At a later point, the Pop-Up store will feature other types of clothing brands and “when Trendsetter [sells out] we are going to try to bring some other overstock type [of] items to Bishop, but quality,” she said. According to Denman, the clothes found at the Bishop Pop-Up store location is “off-season, but off-season brings you savings, and that’s the idea,” Denman said. An expansion of the Pop-Up will be dependent on sales. The current hours of the Pop-Up store in the Cottonwood Plaza in Bishop are: Thurs.-Sat. 10 a.m.-6 p.m. and Sun. 12-6 p.m. The adjustment of the hours is based upon the “times when people are able to shop,” Denman said.